Krell’s latest integrated isn’t an amplifier it’s a beast. Even by the company’s high power standards an integrated that delivers 275 watts into eight Ohms and twice that into four is a powerhouse. The preamp is based on circuitry from in the Phantom range topper with surface mount devices (SMD) providing gain and zero negative feedback. A balanced resistor ladder volume control means that bandwidth and transient response are ‘virtually unaffected’ by volume setting. 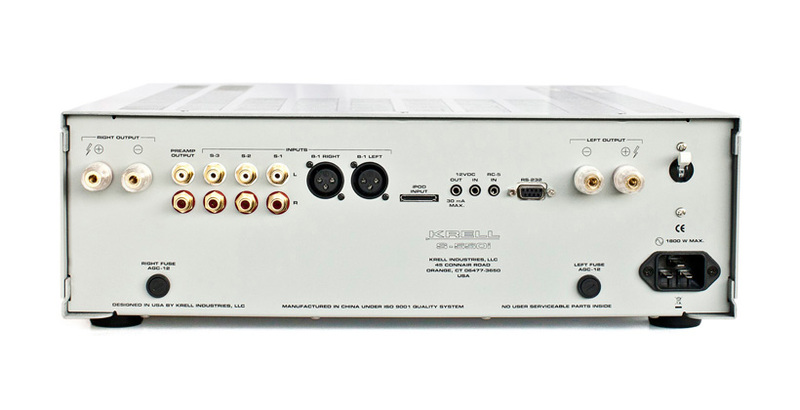 The power amp operates in Krell current mode for maximum bandwidth and the S-550i has a fully balanced DC circuit. The power supply is based around a 1,750 watt transformer and this drives fully discrete circuitry in order to avoid the shortcomings of ICs and op-amps. The S-550i stands a relatively compact five inches (125mm) high and incorporates an iPod dock, it costs £4,999.